tldr& Great Taru this could be a mule or main. The bard is top notch with all the necessary instruments 99DDB,Ghorn and Honor March. 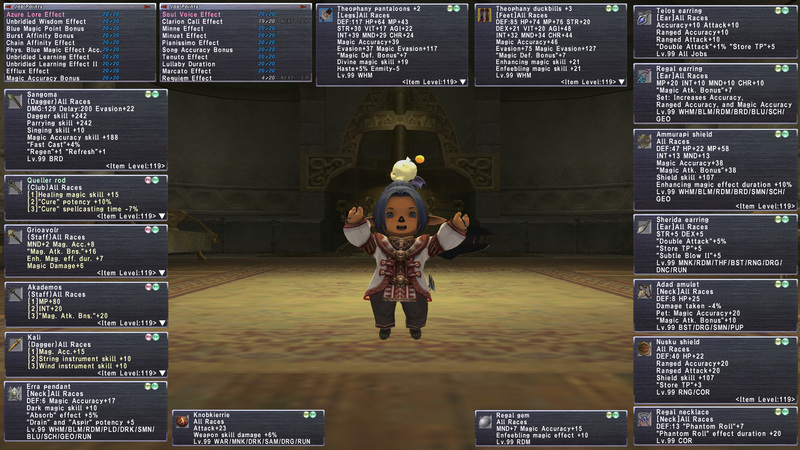 WHM loadeddddddd with Yagrush. 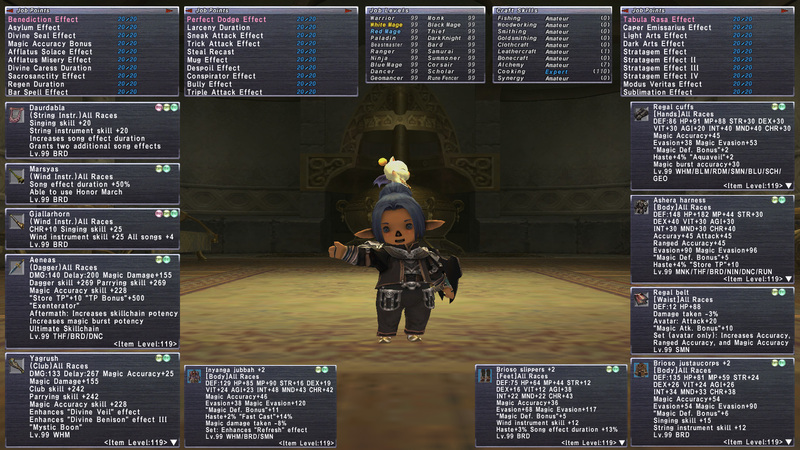 Omen master, almsot all R/EX drops including Ashera Harness, Master 4x and bard super close to master. 110 Cooking. Reforged gear +2 and +1, Enough trusts to start the upgraded trust quest. Great taru model. Gearswaps available!